Forget the pretzels and potato chips next time you slouch onto your sofa to watch the big game – why not pound down a snack that stares right back at you? This bag of Almond Fishes promises all the crunchy goodness of sight-challenged munchies, plus a righteous dose of calcium. And it’s all-natural! 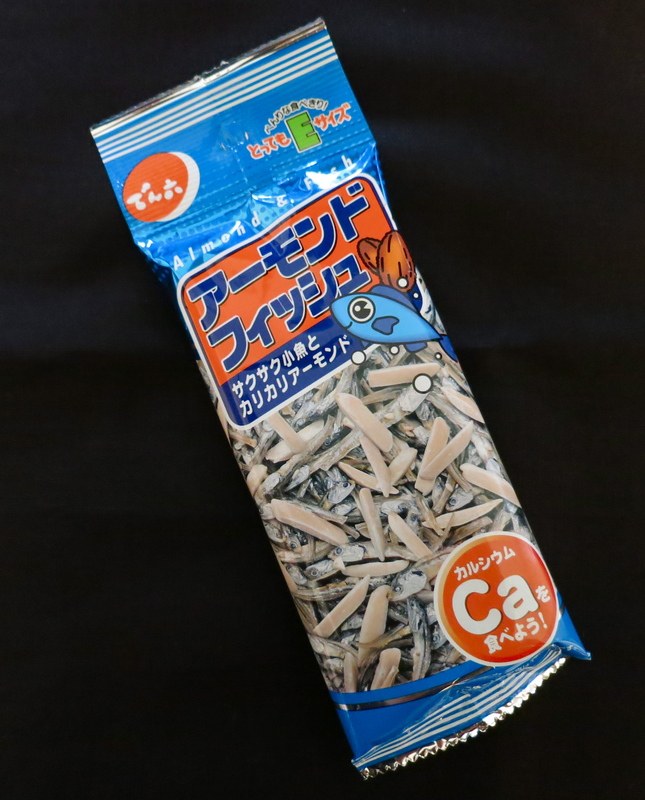 The calcium comes from all the tiny fish bones you’re swallowing, along with the tiny dried fish eyes and fish brains and…okay, right, it’s better not to go there. Enjoy!